I'm revisting a project I started a while ago. I've titled Concrete Society. 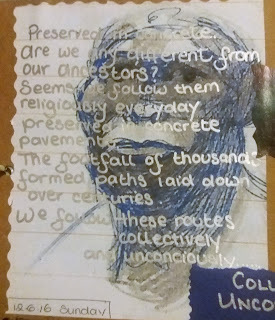 These are some of my thoughts so far, over this image of a drawing of an early species of man. I need to study pre history more. My knowledge is general at the moment. 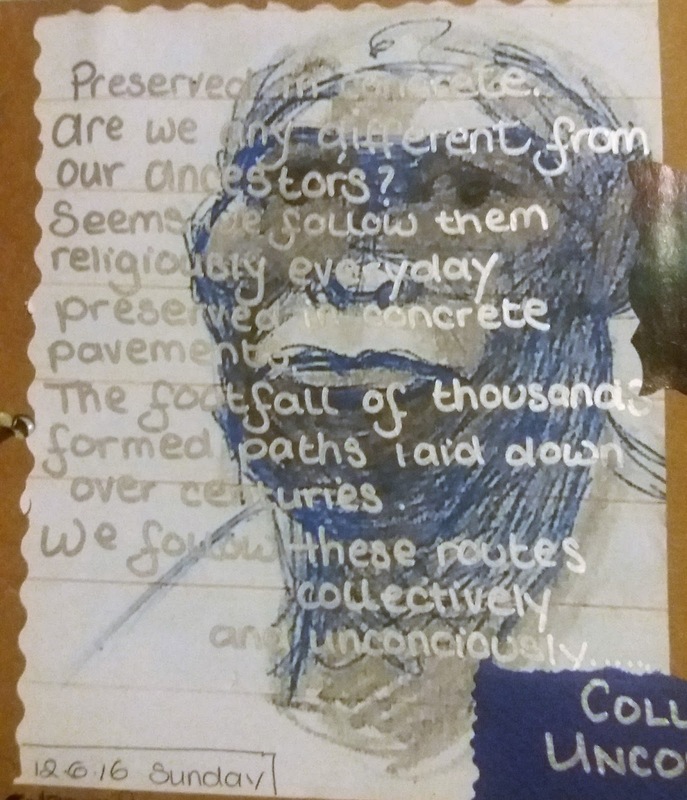 The idea is that the paths created over time have become set in stone. Metaphorically and Physically. Through actual pavements, roads streets and paths. We adhere to and keep to them unconsciously and religiously. I'm exploring the images of the city and everyday life, to get a sense of how structure formed over through history governs our everyday behaviour. Got a long way to go before it takes shape. "A part of the unconscious mind, shared by a society of people or all of humankind that is a product off ancestral experience"